When both plates are put side by side. The Packaging is thicker than the regular 88 palettes due to the extra plate. Interesting eyeshadows with a different mix to it. 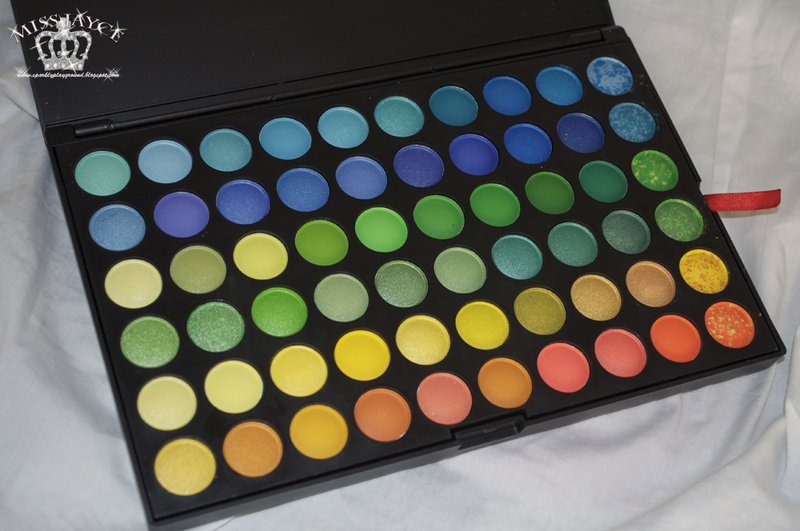 Here is the swatches of the funky eyeshadows, it also shows great pigmentation! Wonderful 120 full color palettes eyeshadow sets perfer for party makeup/casual makeup/wedding makeup, etc. Rich and leading-the-trend colors, includes 6 new and innovative colors -"mix-and-match" palettes! 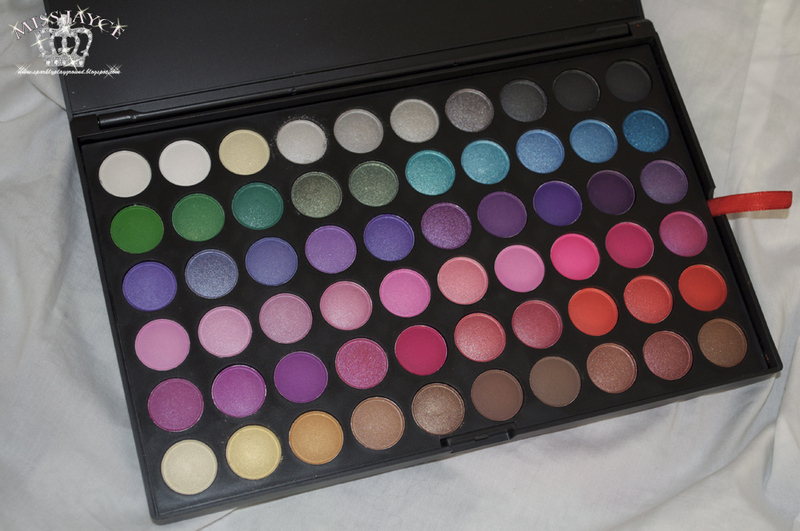 With 2 layer easy-to-carry design,palettes are divided into 2 layers, more convenient to use! 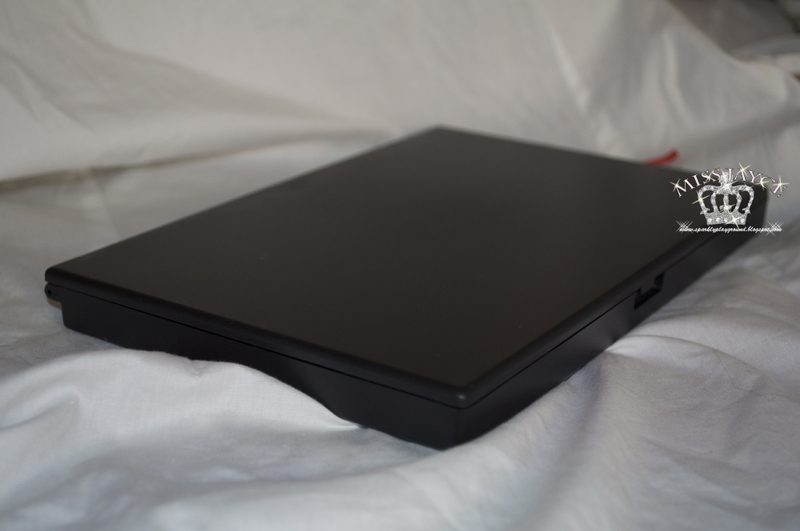 I have contacted the seller to ask for information on this. This is one of my recent purchases from eBay along with plenty others still waiting to arrive. 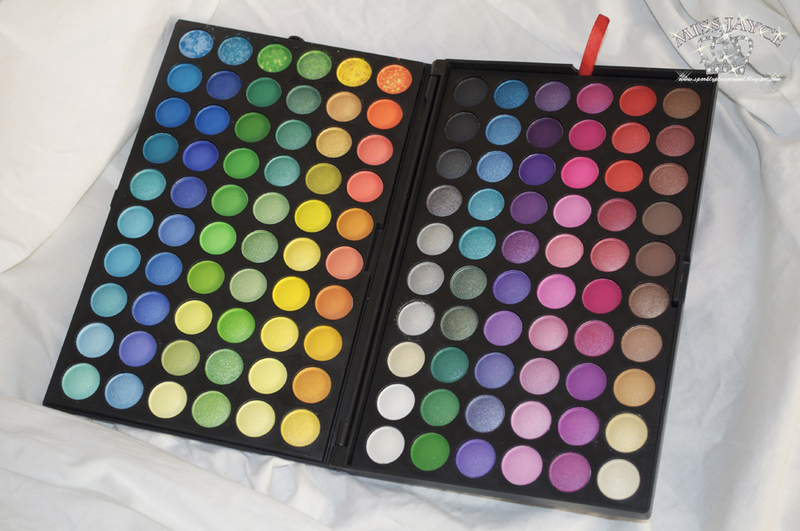 Initally, I wanted to buy the 88 matte palette because I hardly have any matte eyeshadows and i really needed some for my upcoming YouTube tutorials. 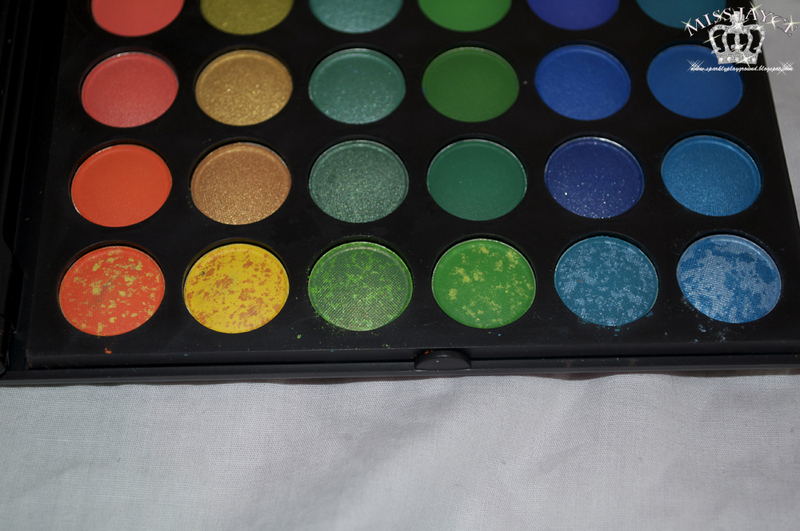 However, I changed my mind because the 88 matte palette lacked just many reds, oranges, pinks and yellows which is a problem I already have with my 88 shimmer palette. You will notice that if you add it up, it wont equal to 120 colors because it's only an approximate because some colors are like "yellow-green" "blue-purple" "purple-pink", you get the idea. I love the wide variety of colors and shades this product provides, and the pigmentation is great! 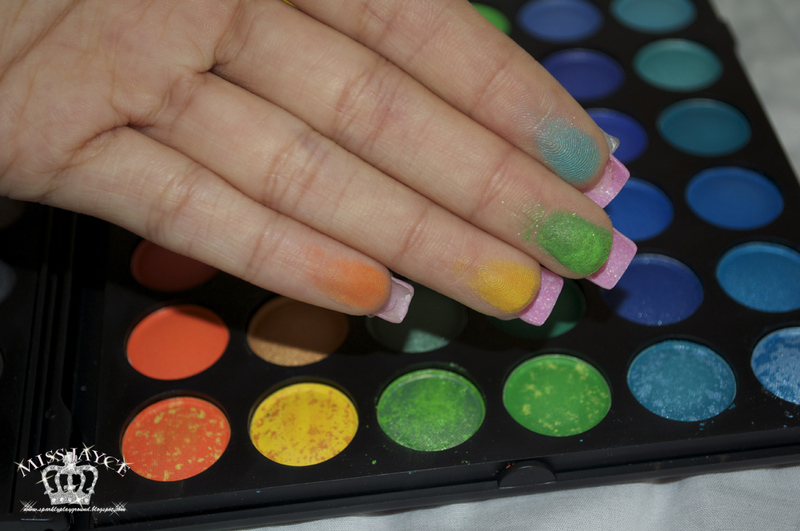 The eyeshadows are extremely soft, so they do tend to break easily and a heavy hand with the brush might grab too much pigments. Packaging: 4/5 ♥ Professional, Black but can fall out easily. Shipping package: 5/5 ♥ Only a small crack to one of my eyeshadows, not a huge deal. I have contacted the seller in regards to the ingredients. Unfortunately, they do not know since they are only the retailer. I also requested a discount code for my readers as some of you have been asking to purchase this item. Promocode is "SPARKLYPLAYGROUND"for 5% off the First 5 Readers to purchase from their website. If I'm not mistaken, 5% off is off your total purchase at checkout. It appears to me that their website listing price are slightly lower than the listing price in their eBay account. So do check it out and take advantage of the discount code! Let me know if there are any problems! I hope everyone's Halloween was great! I look forward to seeing everyone's costume!